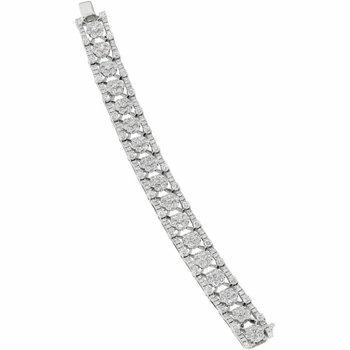 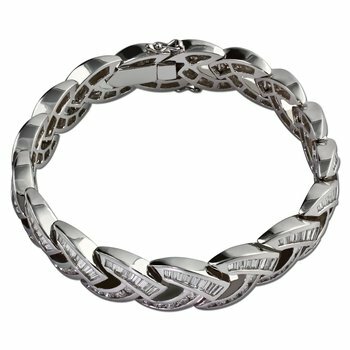 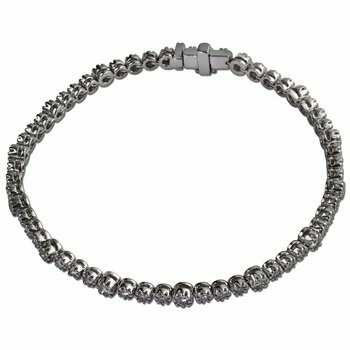 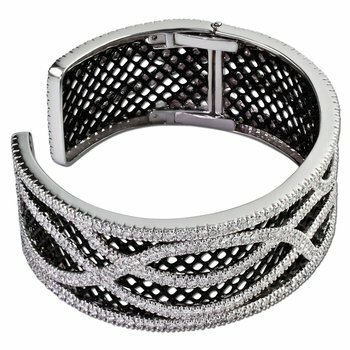 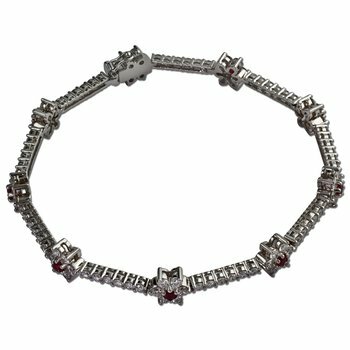 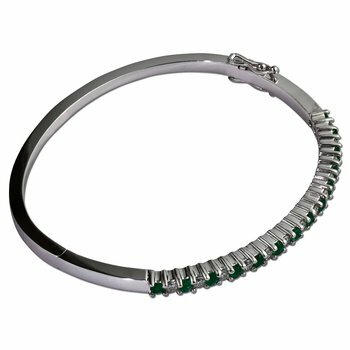 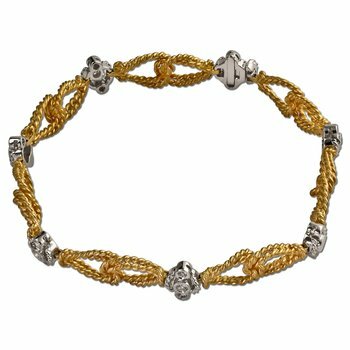 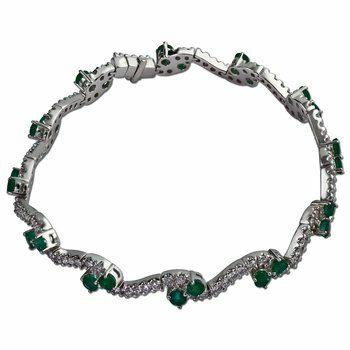 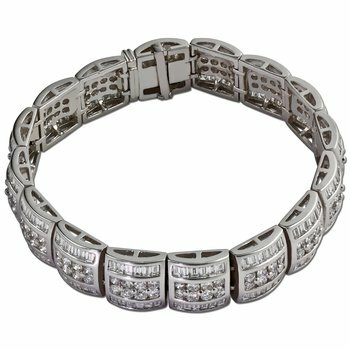 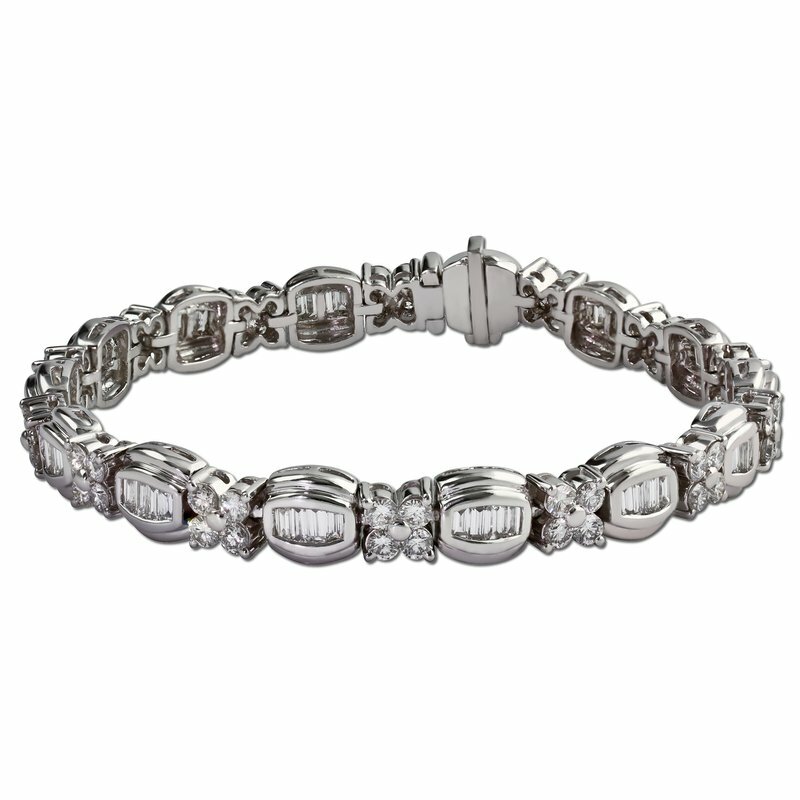 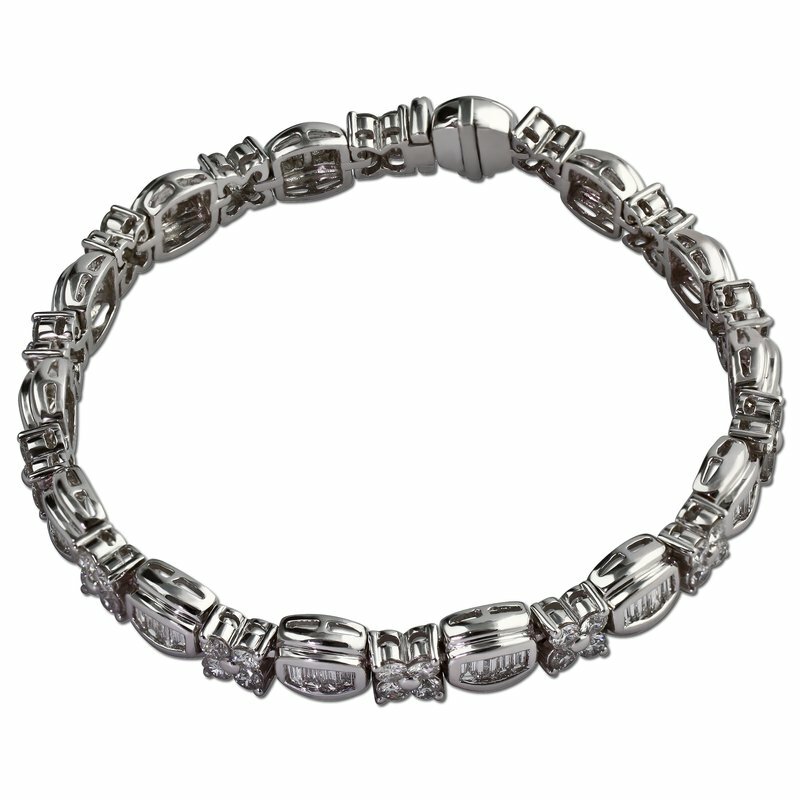 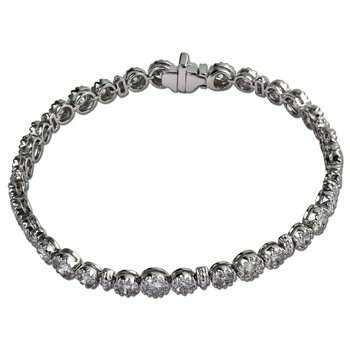 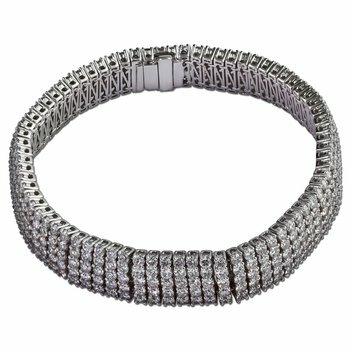 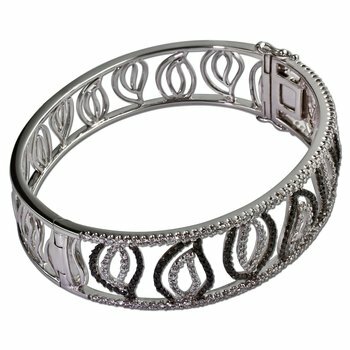 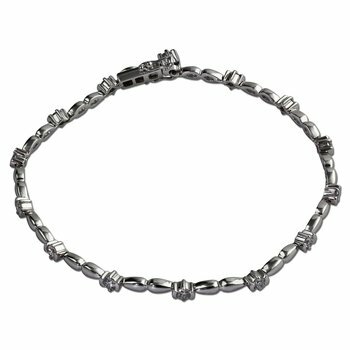 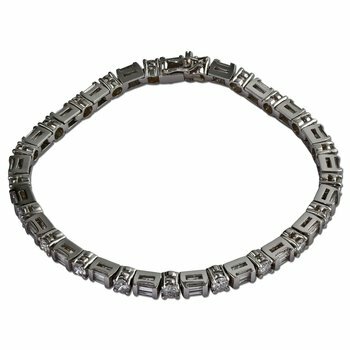 Flower shaped diamonds alternate with oval diamond dividers in this bracelet. 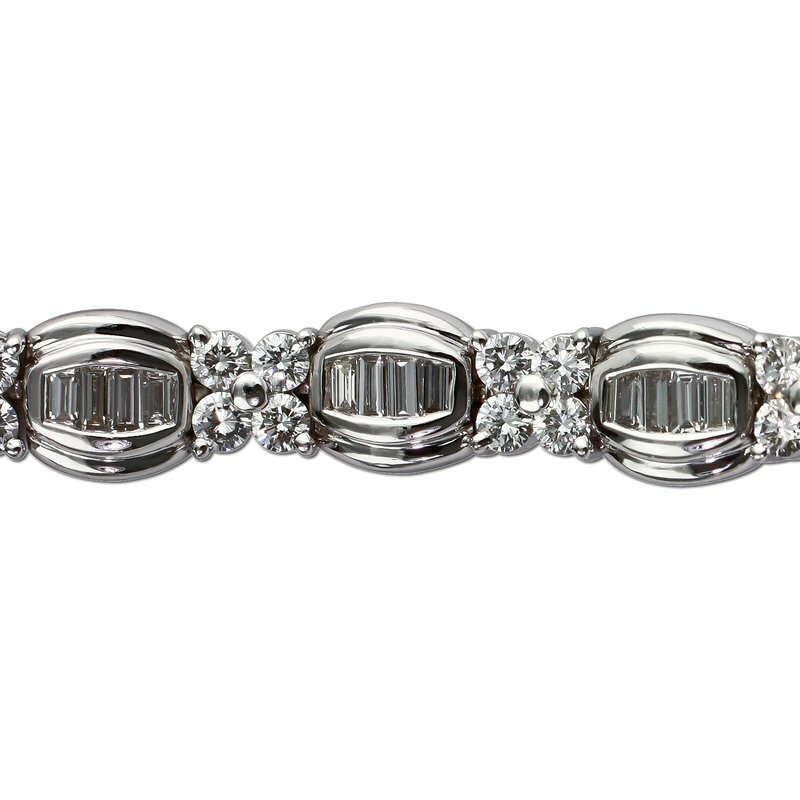 Round diamonds have a shared prong setting and baguettes are channel set. 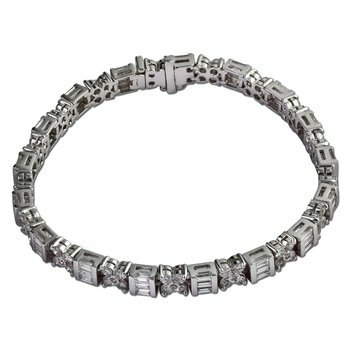 Setting features 2.22 carats total straight baguette diamond weight and 3.24 carats total round diamond weight.